I have never been to lunch at EJ’s Eats and Drinks and it not be packed. There’s rarely a free table when I go in the door, and oftentime I have to share space with others at their table. Still, as far as burger joints go, this one has some mondo good things to be said about it — not just about the burger but about its chips and onion rings, too. Chips are made in-house at EJ’s, lovely crisps of potato served up salty and plain or Ranch spiced or barbecue spiced. I prefer the barbecue ones — they glow a reddish orange and they have good sweet spice to them, neither too hot nor too salty. They are splendid things that should be consumed happily. In fact, they’re so good I can’t imagine why anyone would substitute fries for them. 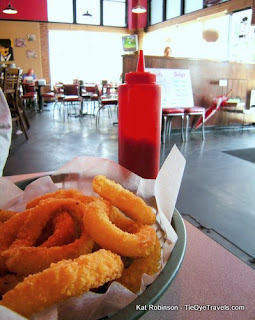 Then there are the onion rings ($3.75), tender cornmeal breaded things I can’t resist. Ah, there you go. But as far as burgers go, EJ’s is doing pretty well. 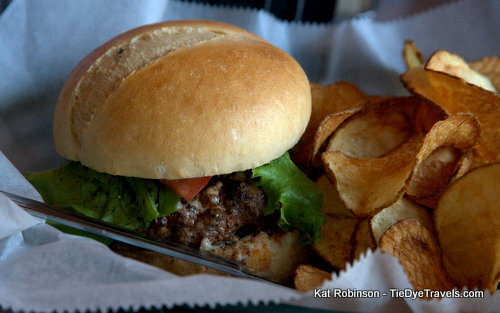 The burgers are 1/3 pound smashers that come with your choice of cheese (EJ’s doesn’t have a cheese-less burger on the menu), green leaf lettuce, tomato, red onion and mayo served up with those chips for $6.50. They come on a split top bun with the chips in a basket. There’s also a bacon cheeseburger and a japaleno burger served up with a choice of chipotle mayo or spicy mustard and pepper jack cheese. The burgers have a light spicing to them, not too harsh but pleasant and beer-worthy. They do take a little time to cook, though — you’re looking at an eight minutes weight on average before it comes to the table. 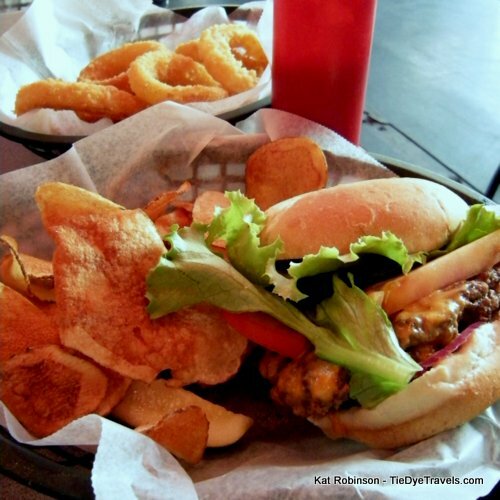 You’ll find EJ’s Eats and Drinks at 6th and Center Streets downtown. If you go at lunch, expect a little wait. (501) 666-3700 or check out the Facebook. UPDATE 11/3/2017: EJ's has continued to be a regular stop-in for me when I am downtown, thanks to its handy location. 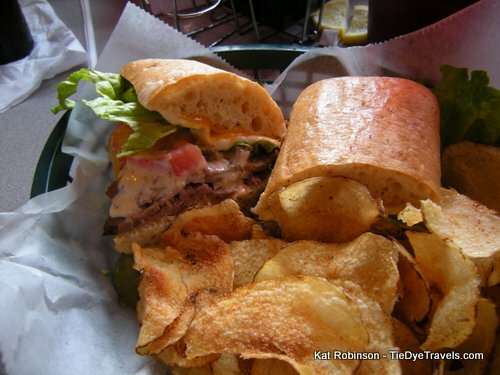 I would be remiss if I didn't mention its po'boys. which come in varieties as varied as shrimp to Cubano. 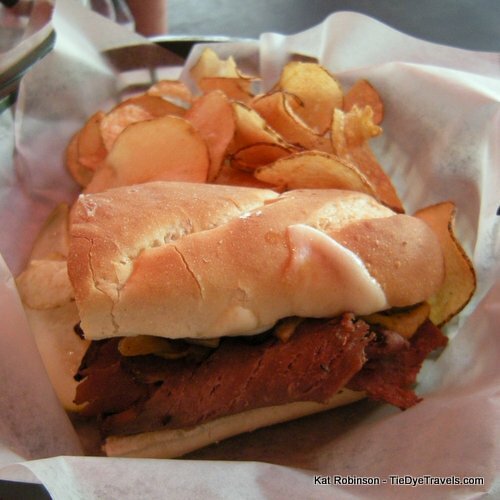 My two mainstays are the Philly with its ribeye, and the Big Dipper with its jus. Excellent food, significantly underrated joint.